High tensile, 12mm, helical bars used without grout or resin. 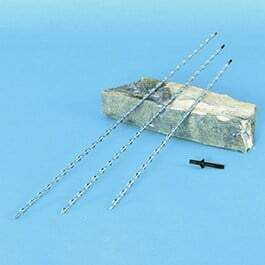 Thor Helical 12mm diameter, self-tapping strap ties are driven deep into masonry to reconnect solid masonry without the need of cement, grout or resin. Grout free ties are ideal for use when connecting solid walls on heritage houses, listed buildings and more modern constructions. The heavy-duty, high tensile, stainless steel ties are available in three lengths 910mm (36″), 760mm (30″) and 610mm (24″). When hammer-driven into a small pilot bore hole the connectors corkscrew into brick, block, stone and concrete to offer outstanding resistance to compression, tension and shear loads. Manufactured from 316 marine grade stainless steel and with a cross sectional area of more than 28mm2, Thor Helical Grout Free Ties are ideal for pinning arches and re-connecting walls, such as at corners and at party wall junctions, without the need for bonding agents. 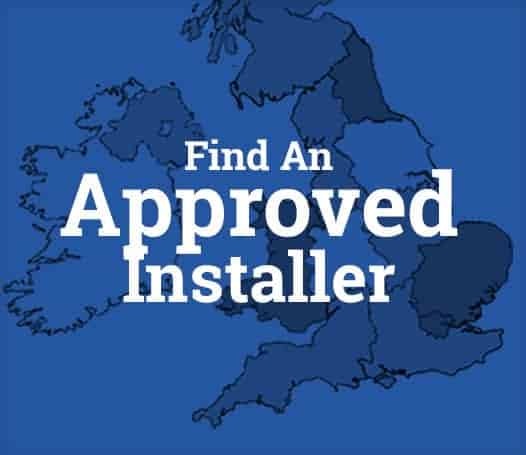 This feature eliminates issues of material compatibility that often arise when cement grouts are used in old or listed buildings with lime mortar.